Children create representations of two digit numbers cards and add or subtract. 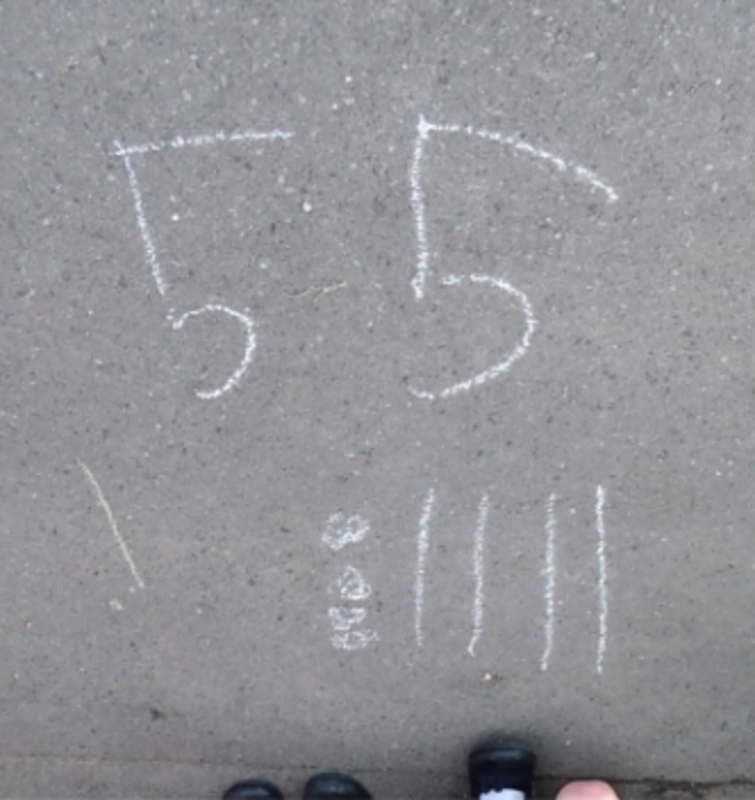 Children are given a two digit number and asked to create this number in tens and units (either drawing with chalk, painting with water, or creating with sticks and leaves) Check children can do this by counting with them in tens and then units, does it match what is written on their number card. Next step, invite the children to partner up and add up their numbers using the tens and units display they have created. differentiate by handing out two digit number cards that don't cross tens barriers or 100's barriers. Include subtraction Varying the cards so that you enter 3 digit numbers.